Mrs. Malhotra (Reema Lagoo) is the mother of twins, who were separated at birth, and she only has one son. Since then she has been in shock and confined in a wheelchair in the USA. 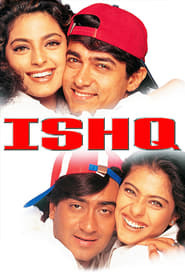 Quiet and mature Prem, (Salman Khan) one of the twins, and his dad (Dalip Tahil) return to India together with Mrs. Malhotra to get Prem married to outgoing and percocious Mala (Karishma Kapoor), who is the daughter of Mr. Sharma (Kader Khan). There Prem meets with his twin brother very outgoing and percocious Raja (also Salman Khan), who looks like him, but is exactly the opposite in nature, A series of comic scenes result as a result of the twins getting together. Raja loves quiet and mature Roopa (Rambha), and both the girls are confused by the change they perceive in their respective lovers. 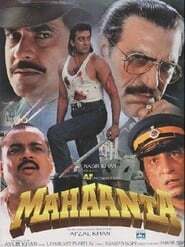 To muddy the waters Tiger Ratanlal (Mukesh Rishi) has sworn vengeance against the Malhotra family for what they did to his dad (Deepak Shirke). Rajesh Malhotra (Govinda) is the son of a wealthy businessman Dhanraj Malhotra (Kader Khan). However, he is not happy at his home since his father doe...More. Harbans Rai and Ranjit Rai are two wealthy businessmen who absolutely *loathe* poverty and poor people . As fate would have it , Harbans Rai's daughte...More. 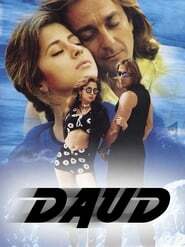 Judaai (English: Separation) is a 1997 Indian Bollywood film starring Anil Kapoor, Urmila Matondkar and Sridevi who made her last appearance in this f...More. Mute Shankar slogs day and night to satisfy the lust of wealthy businessman Raja Saab who has underworld contact. Raja Saab would like to marry the yo...More. 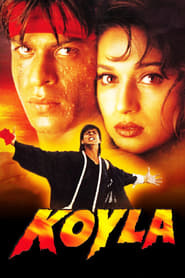 Hardship, love affairs, murder and apparent betrayal test the enduring friendship of two men (Jeetendra, Sanjay Dutt)..
Rohit and Gaurav become best friends. Both unknowingly fall in love with the same woman..
Lovers (Sharad Kapoor, Suman Ranganathan) separate in an attempt to avoid the horrible fates foretold by an astrologer..
Two college friends find themselves on the opposite side of the law when they reunite..
Film about arranged marriage in India. The year is 1971 when the Pakistani Army is at war with the Indian Soldiers. The Indian battalion is posted in Longewala region in Punjab and are just...More. Wealthy Janki falls in love with poor Jaiprakash, much to the displeasure of her parents, and ends up getting married, and living with her husband. Sh...More. Arjun is police officer and he has two stepbrothers, Bhishma and Suraj. Dhaman takes full advantage of this situation, and watches as the brothers go ...More.